This entry was posted in Non-Fiction and tagged Biography, Politics by Jennifer Jones. Bookmark the permalink. Regardless of a persons political stand more of the time Keating was treasurer and PM needs to be documented. They were interesting times. Glad you enjoyed the way Kerry O’B presented the narrative. Fran from TravelGenee visiting from the A to Z challenge. I definitely need to read this book. Keating has such an acerbic tongue and was very clever. If only politicians today…. Keating definitely had a way with words but was sometimes pretty vicious. 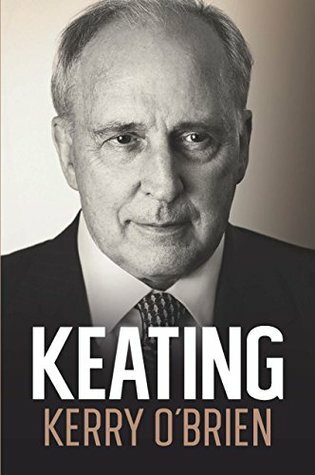 I really enjoyed “Recollections of a Bleeding Heart: A Portrait of Paul Keating PM ” by Don Watson who had been Keating’s speechwriter. I don’t think Keating enjoyed being the subject of a biography.